Say hello to the LG Optimus L3 II – a new entry-level Android smartphone that probably won't have much to impress with, other than its reasonable pricing. The handset has yet to be announced officially, but its technical specifications and a photo were spotted in a document obtained via T-Mobile Hungary. 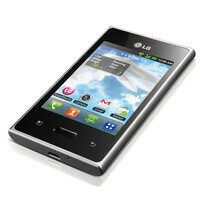 Just like its predecessor, the LG Optimus L3 II, aka LG E430, will come with a 3.2-inch QVGA display (240 by 320 pixels), which translates into a mediocre pixel density of only 125ppi. Yet according to the specs that have leaked, the screen will be made using IPS LCD technology, so in real life, it might not look as bad as it sounds. The single-core processor running inside the smartphone will be clocked at 1GHz – good enough for an entry-level Android handset. It is also said that the camera on the LG Optimus L3 II will have a resolution of 5 megapixels, although it isn't yet clear whether auto-focus will be present or not. Further specs include a passable 4GB of on-board storage expandable via microSD cards and the usual connectivity features, such as Wi-Fi, Bluetooth, and GPS. 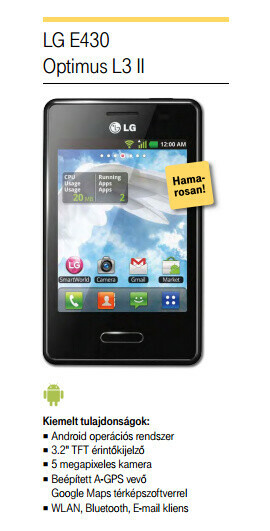 What version of Android will run on the Optimus L3 II is still not known, but we're hoping to see nothing older than 4.0 ICS. 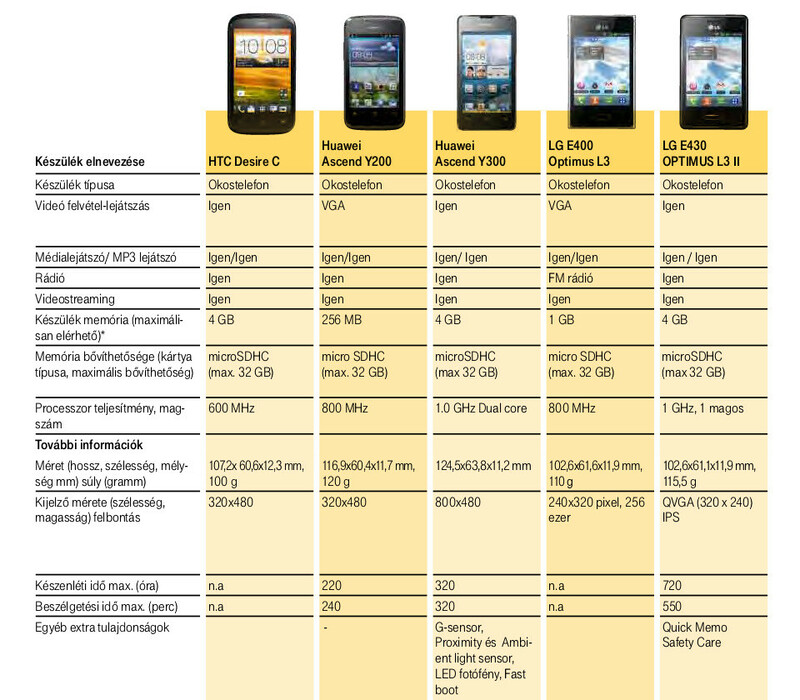 We're expecting to learn more about the LG Optimus L3 II in a few days as it will most likely be on display at MWC 2013. As expected! So there will be a L5 II, L7 II and L9 II :) I hope L5 II Would sport a 1GHZ single core processor! there is a physical hardware button..... Samsung where are you???!!! ah yes...a phone for the cheapskates.